We have virtually any princess or prince you want! Even if you don’t see them pictured on our website, just ask! 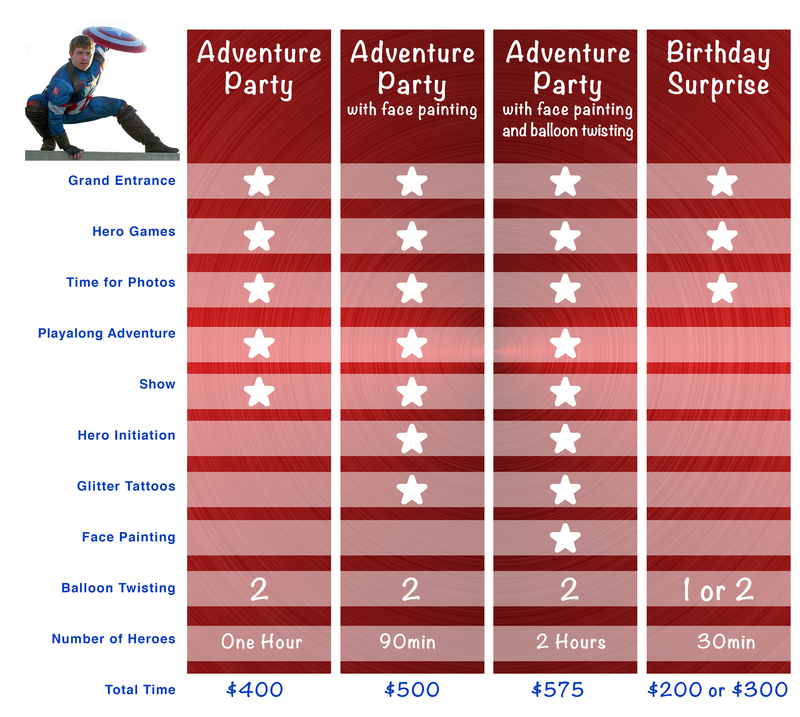 We’ll customize your party package any way you’d like, including providing additional time and characters. Read more about adding face painting, balloon twisting, and glitter tattoos to any package here. Let the magical experience begin! After meeting the party host, the princesses will enter the party singing, and begin dancing with children. And, of course, they will introduce themselves to all the children, especially the birthday girl! The princesses will act out their story! Children get to join in the fun, and the birthday girl can join them in the performance on stage! Your child becomes a real princess! The princesses will give your child a crown from their magical land and tell her what special princess privileges it gives her. They’ll even teach her how to wave like a princess! The birthday girl can pick ANY song and everyone can sing along with the princesses! *Time for taking pictures is meant for the family and guests of the birthday girl to take their own pictures – we do not provide a photographer. *Travel fees may apply depending on the location of the party. *Birthday Surprise package is limited to party locations in Connecticut.